What started with happiness and joy is finally standing at the door to leave. The mango season which was full of amazing taste and health benefits is almost over. Shimla Hills, a leading name in the agro-products industry, has mango as its flagship product. While some know it as a trusted name in the industry, other call it the “mango company” because of its premium quality mango processed products. Be it mango puree concentrate, mango pulp or IQF, Shimla Hills has been consistent in adhering to the top-notch quality for their production, packaging and shipment. The mango season this year was no less than a wonder for Shimla Hills. Though this time too there remained demand supply fluctuations but efficient production system and supply chain mechanism of Shimla Hills enabled it to successfully cater to everyone’s need while keeping the prices under control. Amid of the season, we ensured that we don’t deviate from our motto which is maintaining the quality and delivering on time without a miss. This mango season too, we were able to match the quality of our production with international food safety standards and as always our process didn’t impact the environment. Our customers in Asia, Europe, Middle East, Africa, USA, Korea and Japan relished the taste of our processed mango products in the form of fruit cheese, mango ice-cream, dessert, puddings, bakery fillings, baby foods, flavours, yoghurt, confectionery, etc. All thanks to the premium quality Alphonso, Totapuri and Kesar mango varieties that bestowed us with their presence this season. This mango season was really amazing but here is a news that would take your merriment on a next level. The mango season is still on at Shimla Hills. The stock of processed mango products is still present in its warehouse with premium quality packaging which won’t let them spoil. 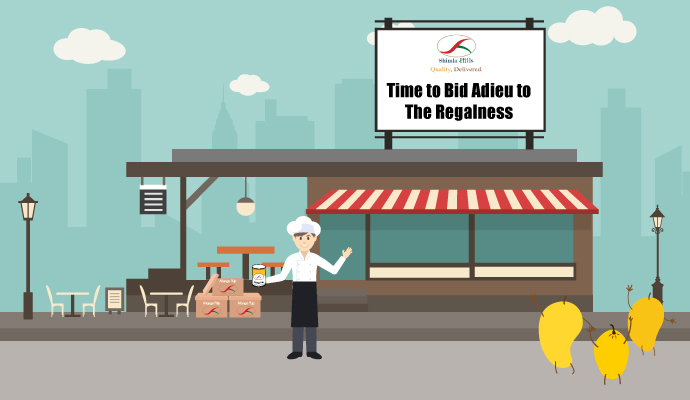 If you are looking forward to getting your hands on Mango Processed products, then send your requirement at sales@shimlahills.com.